The day has finally come, 12th of December 2011. It was the most awaited day of the year, the day that I will finally experience flying (oh yeah, I will fly for the first time in my 19 years of existence). I really don't know what I am feeling that time, a feeling of excitement and nervousness combined. Exactly the same feeling I felt when I tried doing my very first solo travel last April. My plan was to spend my whole night at SM Mall of Asia, wait there 'til it closes at around 11 PM then commute to NAIA Terminal 3 by jeep (thanks to Lloyd for the advice). 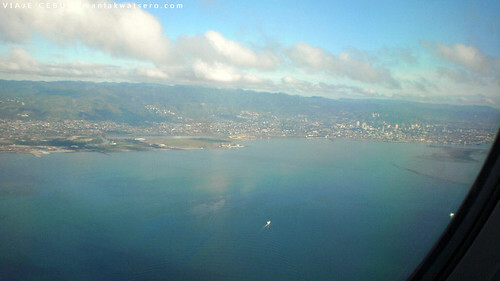 Then at the airport, I'll wait for my travel buddy and plane ride mentor, Brenna of thephilippinetravelogue.com. 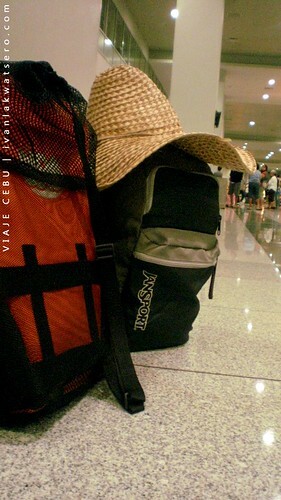 Ten hours prior to the scheduled flight, I was already on my way to Mall of Asia, with me is my 5kg backpack, 2kg snorkeling equipment (yup, tinimbang ko talaga muna bago ako umalis ng bahay), a body bag that contains all my very important travel stuff like camera, ID and cash, and of course my beloved wide-brimmed straw hat. I did people-watching and window shopping around Mall of Asia just to kill the time until the mall closes. 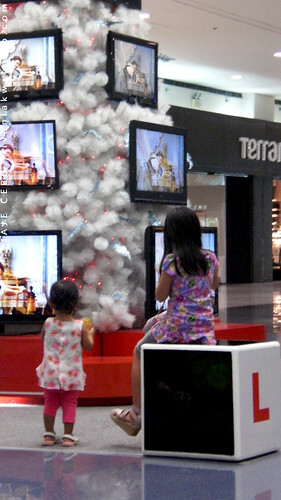 I also seated beside a Christmas tree with flat screen decors where I enjoyed watching a bunch of awesome trailers of the upcoming movies of 2012. I was there from 8:30 until 11:00 PM. When everyone seemed to be going out of the mall already, I prepared myself for my journey to the airport. From MOA, I rode a jeep bound for MRT/Pasay Rotonda, the fare is only P8.00. I reached Pasay Rotonda after a fast 10-minute ride, the place still looked so busy even at the late hours of Sunday. When I got there, I did not see any Nichols-bound jeep so I thought there were no more jeeps that ply that route at that time. I asked a security guard if there will still be jeeps bound for the airport but he nodded with uncertainty. He told me to cross the street and ride a bus instead. When the jeep reached the rotunda with a huge bulb-like monument, I alighted the jeep. I found myself standing in the middle of the busy road, still unsure where to go next. 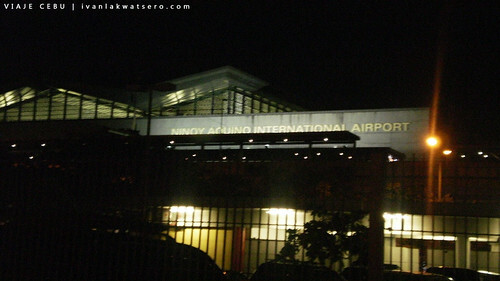 So I just kept on walking until I saw the car park and the building with "Ninoy Aquino International Airport" signage. there it is, now how will I get inside? 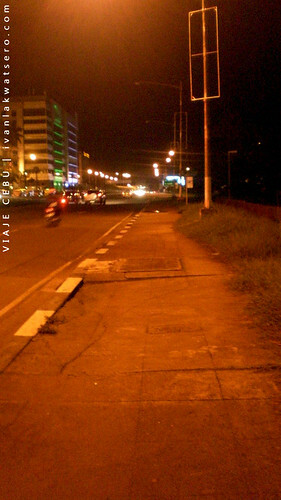 I walked towards the car park, alone along a well-lighted road. But for like 10 minutes, I was still searching for the entrance to the car park. I continued walking despite the fact that my heart was pounding very fast everytime I see people along the way (thinking that they will suddenly grab my bags). It took me 3 more minutes before I managed to get inside the car park. 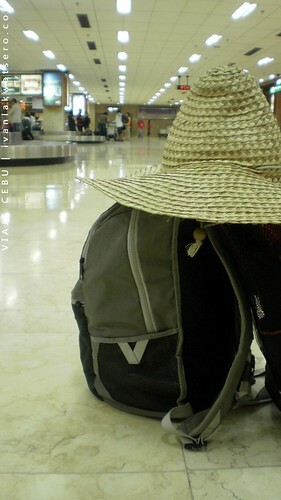 By 11:45 pm, I was standing at the vicinity of Terminal 3's arrival area. I was not sure where to go next so I messaged Brenna that I was already at the arrival area. She then told me to go to the departure area and wait 'til she arrives at around 3AM. 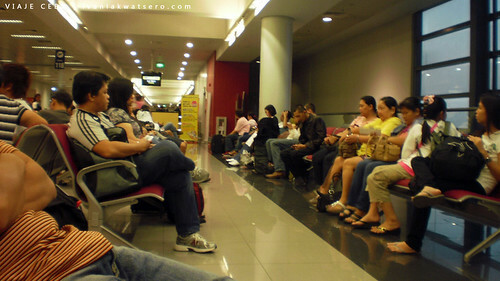 I entered the building, dropped my bags at the scanning machine and vwalla, I am inside NAIA Terminal 3. I looked around until saw the word "DEPARTURE", so I headed there. I was wondering why I was the only person walking around the departure area, so I went back to the arrival and I saw that I entered the "International Departures" pala. The "Domestic Departures" was on the other side of the terminal. I saw a group of Koreans running towards the "Domestic Departures" so I followed them. They led me to a place filled with food stalls and shops so I guess I was already on the right place. I was a little hungry by the time I arrived at the departure area. Jollibee, Yellowcab and Ministop, Mister Doughnut are among the the food stops around. 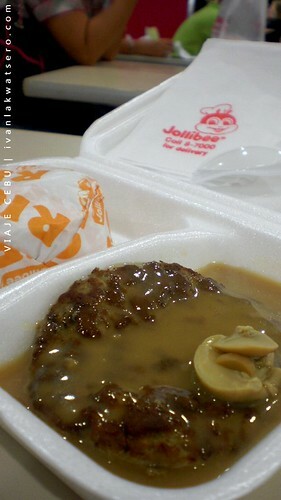 But since I'm a kid loyal to Jollibee, I went to their counter and ordered 1 Piece Burger Steak. It was already 2:50 AM when I woke up. I checked my phone and read a message from Brenna that she's already at the departure area. By 3:00 AM, I was with Brenna already. We're still too early for our flight, so we stayed at the waiting area and chatted to kill the time. By 4:30 AM, we went down to check if our flight was already on the list but it wasn't there yet. We sat on the floor for like 20 more minutes until our flight was ready for check in. 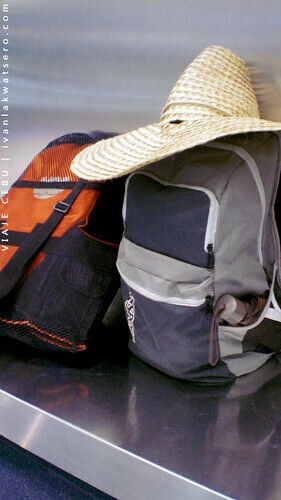 Brenna and I fall in line on Cebu Pacific's Domestic Flight Check in. Grr, it took us almost an hour before we reached the check-in counter. By 5:30, we're done checking in our flight and I had to say goodby to my baggage for the mean time (thank you Doi for the pre-paid baggage check-in). Brenna also asked for a window seat so this first flight would be special. We bought Jolly Hotdogs before we entered the pre-departure area, Brenna told me that prices inside are ridiculously higher. After paying the P200 terminal fee, we again fall in line for the final inspection. I again dropped by body bag into the scanning machine, removed my sandals and put it into the scanning machine as well, I was also asked to remove all the metals (camera, phone, coins) in my body and place it inside my bag. After passing through the final inspection, I am ready to boar my first plane. The next thing we have to do is to wait for our plane to be ready for boarding. In less than 15 minutes, we heard the call for boarding. 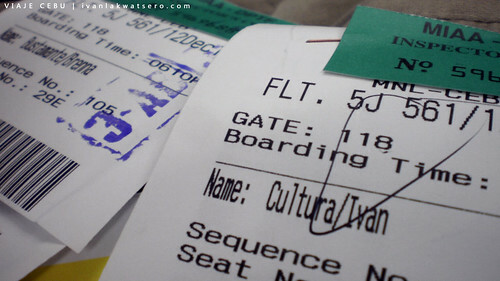 We showed our boarding ticket and made my final walks on Manila soil. We walked in the bridge but our seats (29E and 29D) are located at the back row. 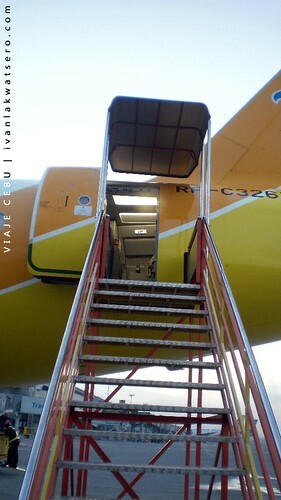 We went down to the tarmac and used the stairs located at the plane's tail. I was really excited to sit on my assigned window seat (29E and 29D), but as we approached row 29, an old woman was sitting on my chair. We told her that we were supposed to be on her seat, a flight attendant approached her and told her that her seat was at row 30. Oh yeah, I was about to sit on my throne when the woman behind us told me the the window seat was hers. Oh well, the window seat is 29F, ours was 29E and 29D. She won the throne, I stayed in the middle seat and Brenna on the aisle seat. The check in person fooled us, I thought she gave us a window seat but found out that it was the middle seat and the aisle seat that she assigned to us. I was saddened by this event of losing the window seat on my first flight. Brenna saw my dismay so she asked the flight attendant if there are other available window seat. The flight attendant told us that the right side of row 12 is vacant and we can transfer after taking-off. 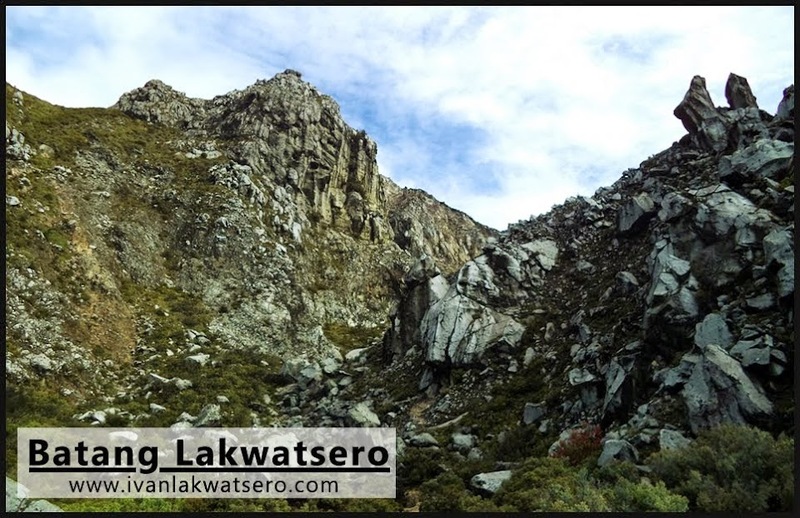 After fastening my seatbelt or in Tagalog "sintorong-pangakaligtasan" (I love saying that word - sinturong-pangkaligtasan), the plane ran at full speed and vwalla, I experienced my first lift. Brenna asked again the flight attendant if the window seat of row 12 was still available. 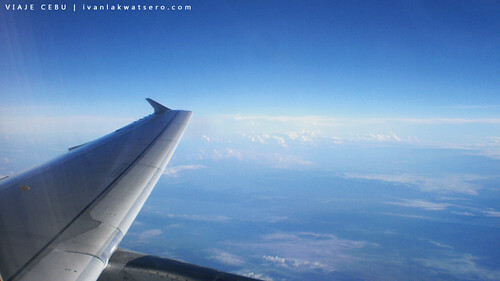 But when she came back, she told that row 6 have vacant window seat. We immediately transferred to row 6 but unfortunately again someone was sitting on the window seat. Brenna was determined to give me the window seat so she again asked the flight attendant (na medyo nakukulitan na ata sa amin) for a window seat. Finally, row 8 is available. We hurriedly transferred to the left side of Row 8 (wiiiihhh), at last, I am seated on a window seat. The time was 7:04 in the morning, Brenna soon fell into sleep while I was enjoying my window seat. 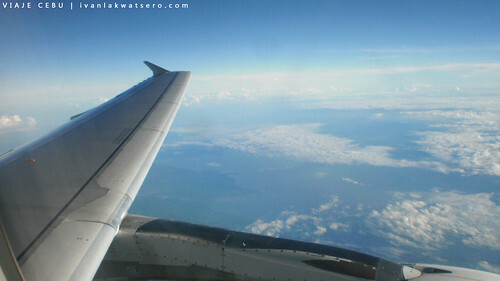 My eyes are widely opened, staring the clouds around us and recognizing the islands below us. 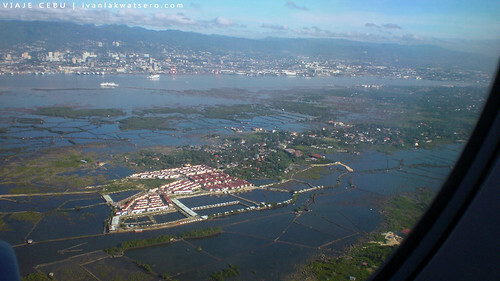 By 7:45 AM, the pilot announces that we were approaching Cebu. 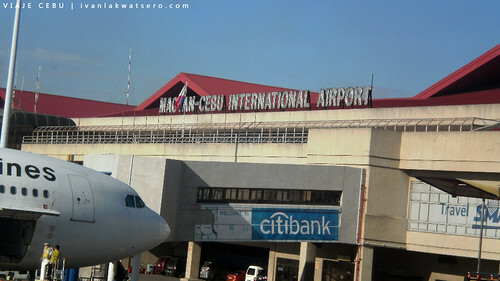 We landed Mactan-Cebu International Airport by 7:50 AM, exactly the same time displayed on our printed itinerary ticket. I am glad that we landed safe. 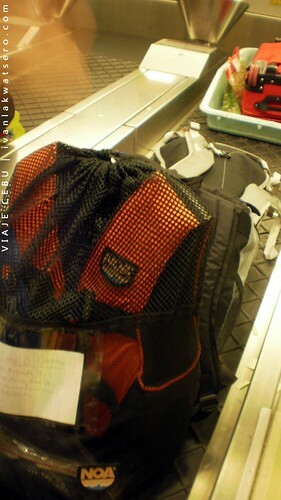 We proceeded next to MCIA's arrival area, and waited for our baggage to come out of the belt. but oops, I lost my umbrella! 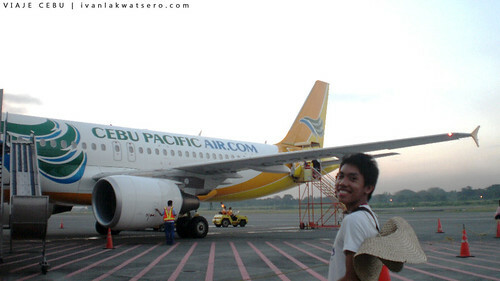 Daghang Salamat Cebu Pacific Air, my fist flight experience was a memorable one. di ko na gets bakit 54 nabayaran mo but congrats at na accomplish mo missions mo! 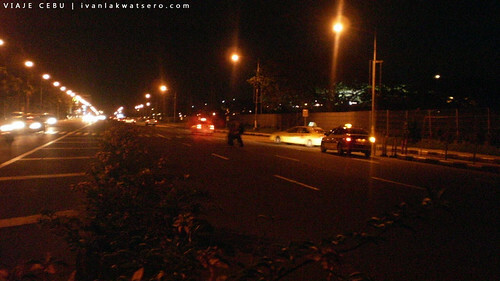 ^_^ hahaha, ikaw na ang paranoid sa jeep pero nagpipicture pa sa kalsada in the middle of the night! LOL. 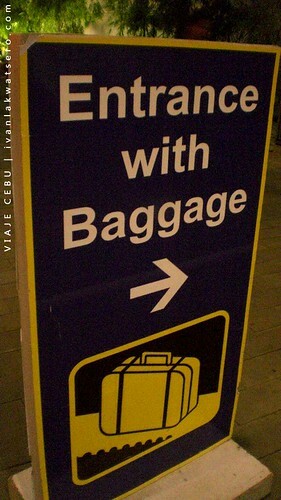 laughtrip sa international departure. hahaha. 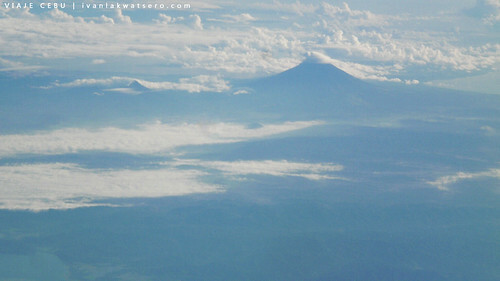 i can just imagine those big eyes staring at the clouds in your window seat ivan! :D CONGRATULATIONS! Kumusta daw ag trip sabi ni mam sabe at mam ventura? I can sense how excited you were when you narrated your story on your first flight experience. Congrats Ivan, salamat din kay Brenna for understanding how important this is for you. Naka engrave na talaga si Brenna sa utak mo as part of your memory. naks. lumalab team! hehe. @Doi, aaah, kasi nag LRT pa ako papuntang MOA naka gastos pa ako ng P38.. haha.. oo nga, nagpipicture ako sa kalsada.. tapos naligaw pa ako sa international departure.. thanks tlga doi. I wanna meet you again soon. @anonymous.. hoy vincent alam ko ikaw yan. haha. epal ka! @Ed, salamat! part na tlga si brenna ng history ng buhay ko.. naks. You are better informed about your first flight than me. LOL! it's better to be careful than sorry. on being paranoid. you two look cute together! ang sweet naman for brenna to look for window seats for you! Eh,di hindi ka na "flight virgin" ngayon LOL. That's an amusing narrative. Btw, how did you lose your umbrella? i just wanna ask kasi ito madalas marinig ko nagayon eh.. like sa sinabi mo na almost an hour before you reached the check-in counter.. marami din kasi ng complain,like naiwan daw sila dahil pumila sila almost 2 hrs then yung iba muntik maiwan.. may changes ba sa pag check in? well-documented... parang 1st baby na may scrap book. :) way to go ivan! congrats ivan.. love the sequence of the narration. nafi-feel ko ang excitement yay! Poor me, never tried to fly. Ang first plane ride ko is to Cebu din and hindi ko pa pangalan, ginamit ko lang ticket nung friend ng friend ko! Lol. Anyways, congrats on your first plane ride! 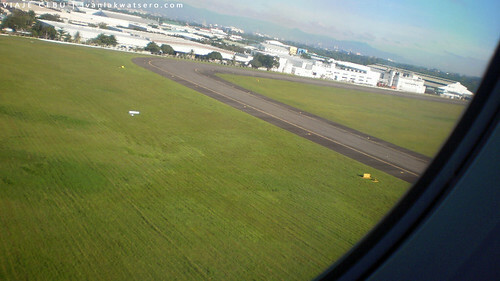 @Ding, wow sir.. ano po nangyare sa first flight nyo? 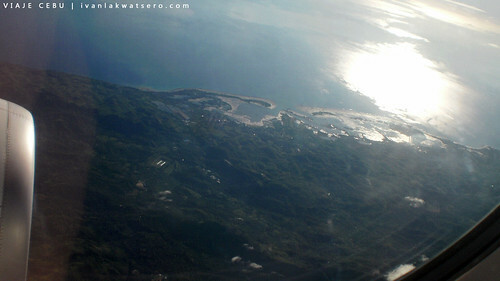 @Lakbay, salamat lakbay for making our cebu trip a great one! @Bert, tama.. na-devirginize na ako sa flying.. :)ewan ko din kung paano, bsta bumalik na lang yung bag ko na wala na yung umbrella sa side pocket..
@Charmaigne, yuh.. matagal nga yung pila sa check-in, but i think inuuna naman nila yung mga may "last call for check in"..
@Blissful, haha.. pinaghandaan ko tlga e.
@edmar, nako, kelangan mo na din lumipad.. masarap! 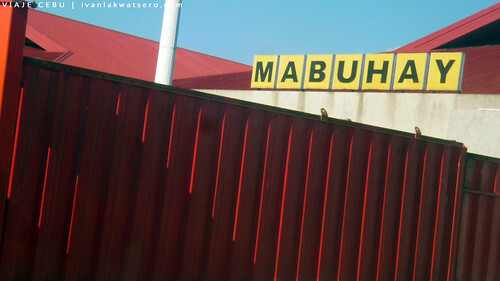 @marx, lol.. bloggable experience yan ah.. haha. 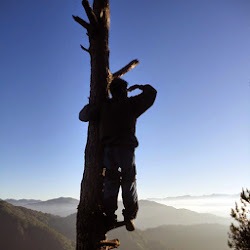 what kind of cam are you using? congats Ivan, I saw myself in you a year ago. hihih! Pero kahit ilang beses na ko nakasakay, I'm still as excited as before. Parang laging first flight. Grabe maaadik ka na nga. Yung young brother ko ganyan din. Well documented ang unang sakay. And yep "sinturong pangkaligtasan" talaga. nakakahingal na tagalog translation. hahahah! I can totally relate! 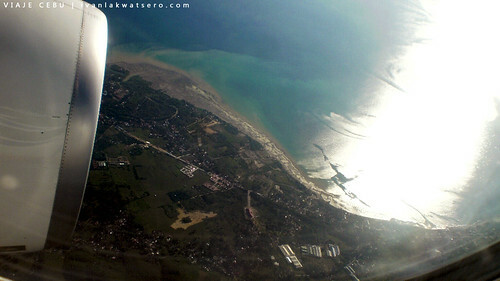 My first flight happened last year during our Bacolod trip. I was anxious and excited at the same time. I also wanted to take the window seat but when I experienced the aisle seat, I realized that I felt somehow safe when I'm away from the window. May Jollibee pala sa NAIA?!?! Saan? And may mga jeep pala going there?!?! Kaso hindi ata dumederecho sa Gates eh, ayoko na maglakad. Huhuhu. Anyhoo... CONGRATS NAK! I could imagine how excited and happy you are for your first flight! Naunahan mo pa presidente natin sa Cebu! Hehehe. 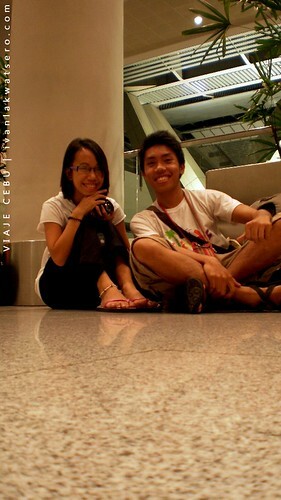 @anonymous, pipichuging point and shoot lang..
@maricar, haha salamat.. mukhang maadik nga ako lumipad. budget lang ang wala..
@mica, lol.. sana nga marami akong ma-book next year..
@Mach, thanks dude.. hndi ako natakot sa window seat.. in fact gusto ko lagi doon hehe..
@Robi, yup meron dun maliit na food stall, sa 3rd floor. i love this post. 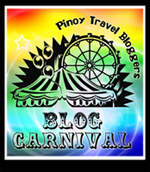 congratulations sa first plane ride mo.. hihihihi..
NakakatUwa And Exciting Nmn Ng BLog Mo BOut Ur FirSt flight! ConGrats U Did A Great Job .!! yung akin umabot ng 700+ lang.. kasi merong seat sale nung binili ko yung ticket. hndi ko na matandaan yung buong gastos ko sa Cebu. travel na.. masarap yan na experience. 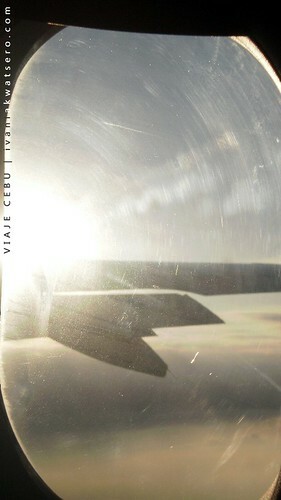 guess what, I haven't blogged about my Cebu Trip yet. haha. natabunan na. Congrats Sir. Hay kinakabahan at naeexcite ako sa magiging first flight ko.